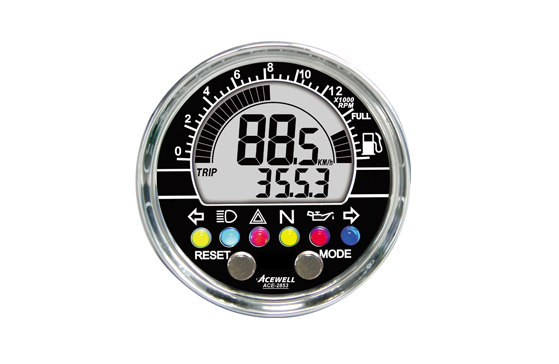 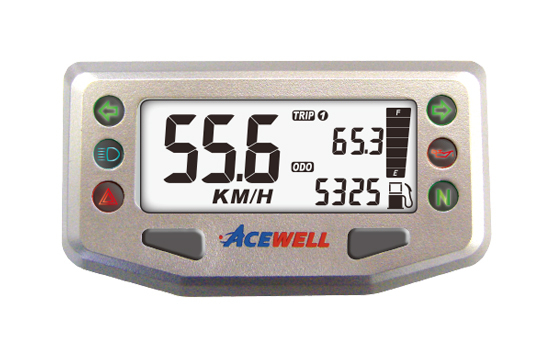 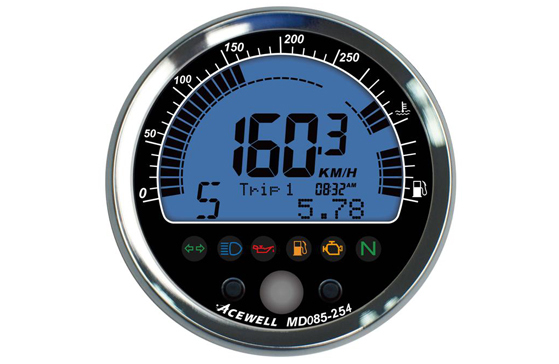 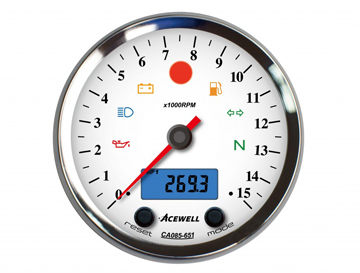 ACE-2000 sereis Multi-Function Speedometer, Digital LCD Display, Refinement and Classic. 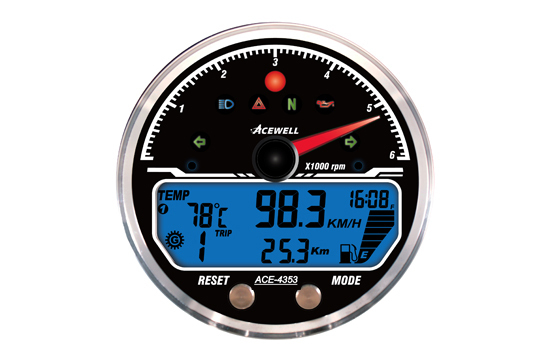 80 mm Digital LCD display. 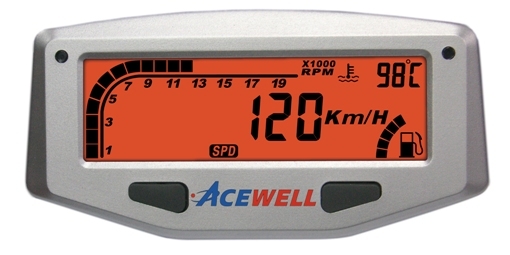 Multi-function Speedometer, with Fine finishing CNC housing. 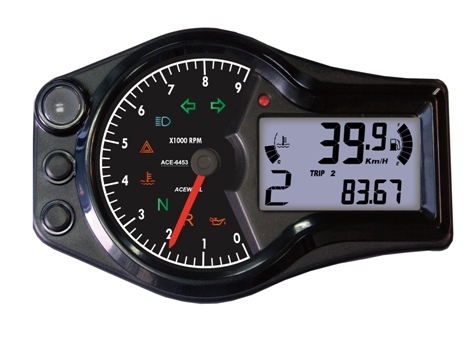 Digital LCD display. 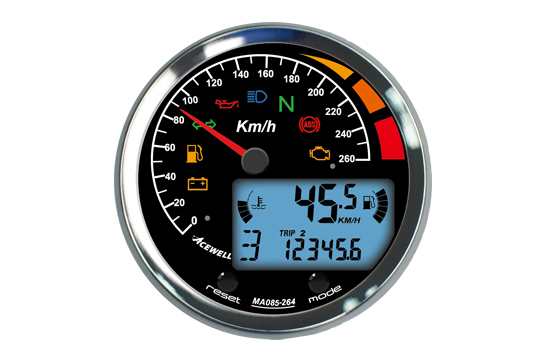 Multi-function Speedometer, Suitable for EV, Analog / Digital system. 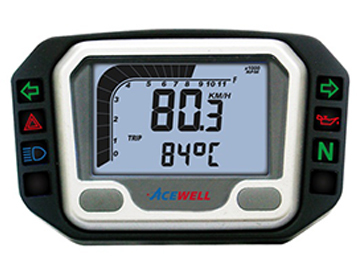 Quality design for re-fit and power system tune up. 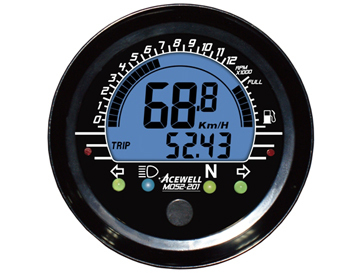 Multi-function Speedometer with Digital LCD display, Needle for Speedo or Tacho. 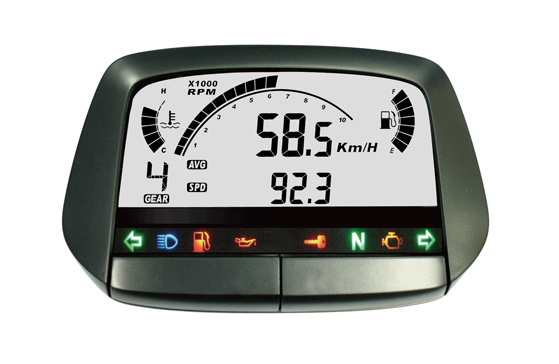 With Digital LCD display, Needle for Speed or Tacho.